RAINBOW'S END (Dogwood Press, first edition 2006, second edition 2010) -- Hardcover, 30 stories, 299 pages. A collection of mystery/suspense stories, six of which include series characters Angela Potts and Sheriff Chunky Jones. Order via Amazon.com. Also, signed copies are available from the publisher here. 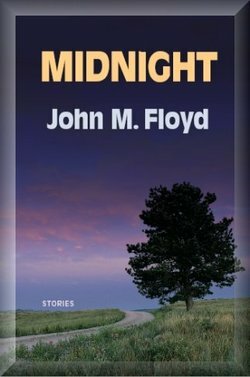 MIDNIGHT (Dogwood Press, 2008) -- Hardcover, 30 stories, 295 pages. A second collection of John's suspense tales, many of which are set in the Deep South. Includes eight stories in the Angela Potts series. Available via Amazon.com or, if you'd like a signed and/or personalized copy, from the publisher. 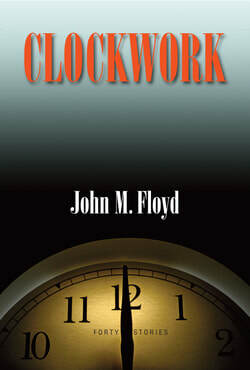 CLOCKWORK (Dogwood Press, 2010) -- Hardcover, 40 stories, 341 pages. Stories of mystery/suspense, with nine more installments of the long-running Angela Potts series. Buy now at Amazon.com. Signed copies may be ordered from the publisher. DECEPTION (Dogwood Press, 2013) -- Hardcover, 30 stories, 328 pages. John's fourth collection of suspense fiction. Contains two stories that are previously unpublished, plus several (as usual) of the Angela Potts series mysteries. Purchase via Amazon.com, or order signed copies from the publisher. ​DREAMLAND (Dogwood Press, 2016). Hardcover, 30 stories, 352 pages. Contains two recent Derringer Award-winning stories, one story that was nominated for the 2015 Edgar Award, and one that was chosen by James Patterson for inclusion in The Best American Mystery Stories 2015. Purchase via Amazon.com, or order signed copies from the publisher. FIFTY MYSTERIES: THE ANGELA FILES (Dogwood Press, 2014). Paperback, 224 pages. Contains 50 stories in the Angela Potts/Chunky Jones series, none of which are repeats from John's first four collections. Structured in an interactive "puzzle" format, with the mysteries in the front of the book and the solutions at the end. Purchase via Amazon.com, or order signed copies from the publisher. THE BARRENS (Dogwood Press, 2018). Hardcover, 30 stories, 352 pages. Contains more stories in the Fran and Lucy Valentine series, plus one that was chosen for inclusion in The Best American Mystery Stories 2018. Purchase via Amazon.com, or order signed copies from the publisher. Click here to see a schedule of John's upcoming signings.